You are currently viewing Archived reports for the week of 23 January-29 January 2013. 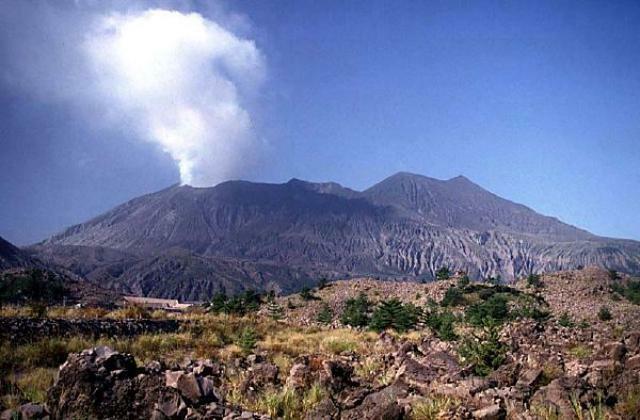 Sezione di Catania - Osservatorio Etneo reported that two episodes of Strombolian activity from Etna's Bocca Nuova Crater occurred during the evenings of 16 and 18 January. 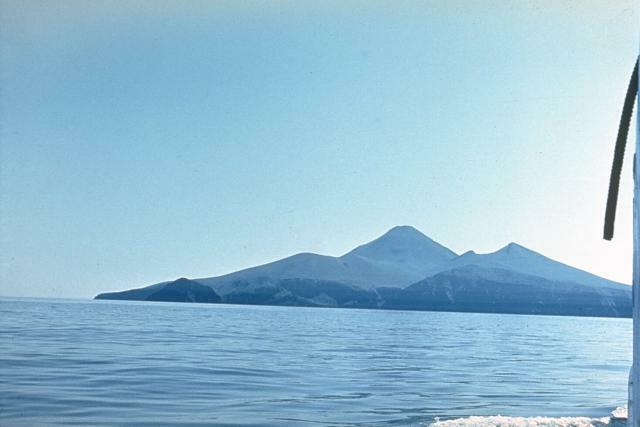 Both began with a sudden increase in volcanic tremor amplitude. 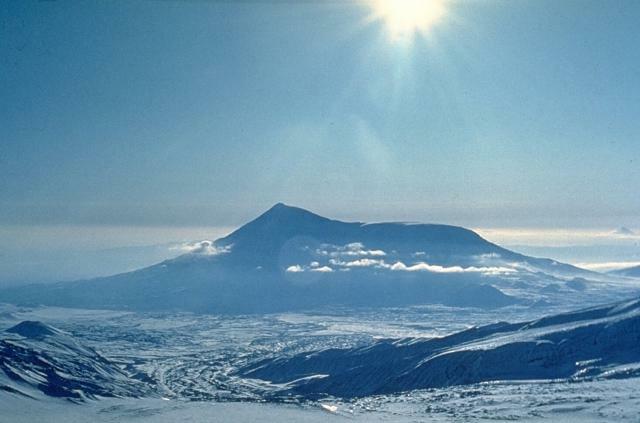 Poor weather conditions prevented direct observations; the only visible evidence was a bright glow illuminating the clouds covering the summit. 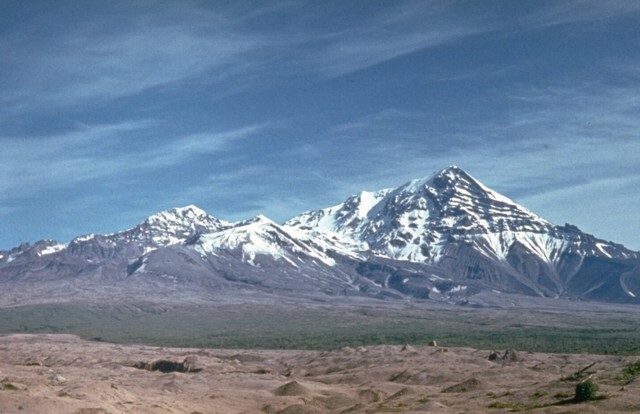 On 18 January some clasts were ejected onto the S outer slope of the central summit cone. On the early morning of 20 January volcanic tremor amplitude again rose, and was much more pronounced at the EBEL station about 700 m from the New Southeast Crater (NSEC) than at the ECPN station much closer to Bocca Nuova. 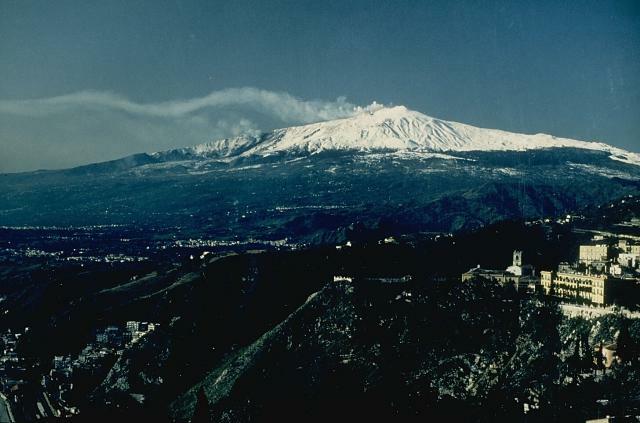 Contemporaneously, there were reports of glow illuminating the clouds over the summit of Etna. Seismic and infrasonic data analyses suggested that the activity occurred at NSEC and consisted of mild Strombolian explosions, which ceased a few hours later. The next episode began at 22 January. Tremor rapidly rose at 1840 again producing a stronger signal at the EBEL station. Glow from Strombolian activity was first recorded by a camera at 1856; the activity then became more clearly visible and the Strombolian explosions became more frequent. Incandescent bombs were ejected as high as 100 m above the crater rim. 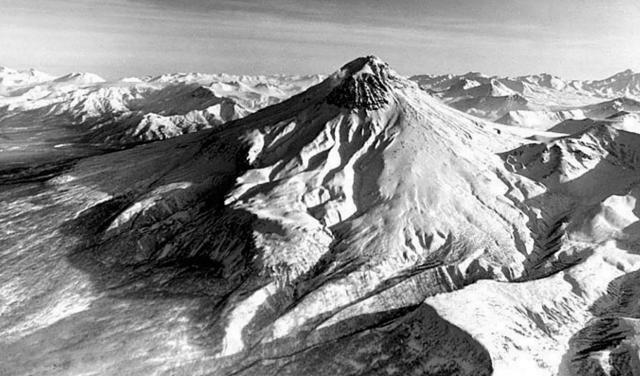 The strongest explosions were followed by abundant fallout of coarse-grained tephra onto the flanks of the NSEC cone. Eruptive activity continued for nearly 12 hours with minor fluctuations. Noises produced by the explosions were audible to residents on the E flank. At about 0600 on 23 January the tremor amplitude decreased and the last explosion visible on camera footage was recorded at 0635. During the hour following, a few small, sporadic puffs of vapor mixed with volcanic ash rose from the crater and drifted E.
The two episodes of Strombolian activity at the New Southeast Crater during 20 and 22-23 January represented the first emission of new magmatic products after a quiet interval of nearly nine months. During the past few months, signs of a possible reactivation of the crater were observed, starting with a dull glow coming from within the crater on 22 November 2012 and a series of small vapor and ash emissions during 25-27 December 2012. A short-lived episode of intense glow occurred on the evening of 3 January 2013. 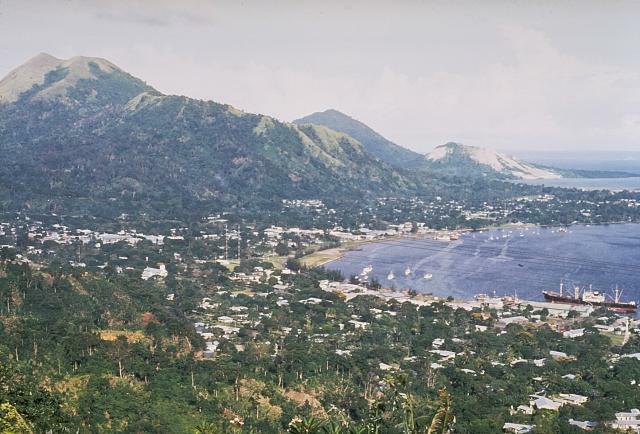 RVO reported that during 23-24 January variable emissions at Rabaul mostly consisted of white vapor plumes, although following explosions gray plumes rose 600 m above the crater. Some roaring and rumbling noises were noted. Five explosions were detected between 0656 and 0859 on 24 January; these explosions produced light gray ash plumes that rose as high as 1 km above sea level. After the explosion at 0656 white plumes also rose from the crater. All plumes drifted E and ESE. Several explosions were detected between 1630 on 24 January and 0232 on 25 January, although seismicity remained at a low level. 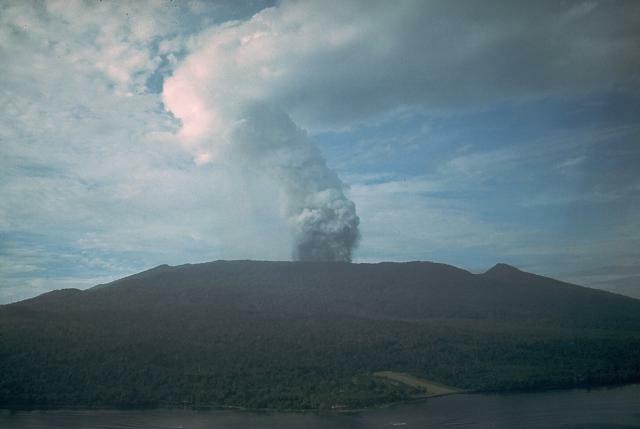 White vapor plumes and occasional light gray ash plumes rose from the crater and drifted E and SE. About five explosions occurred between 1947 on 26 January and 0414 on 27 January, producing plumes that drifted ESE. 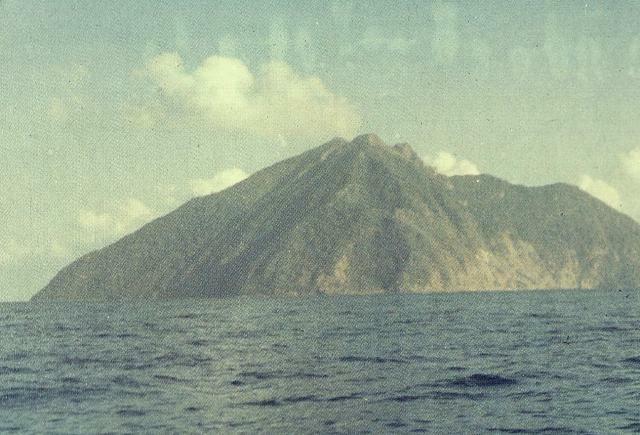 An explosion at 1000 on 27 January produced a dense, billowing, light gray ash plume that rose a few hundred meters above sea level and drifted ESE. Ash emissions continued until 1500, followed by white vapor emissions. Six explosions were detected overnight, possibly generating ash plumes that drifted E and ESE. During the morning of 28 January white vapor plumes rose from the crater. At 1003 an explosion produced a dense, billowing, gray ash plume; ash emissions continued from the next hour and then turned to white vapor. Two explosions occurred at 1323 and 1816, generating ash plumes and sub-continuous emissions for one hour and 15-20 minutes, respectively. Plumes again drifted E and ESE. White plumes rose from the crater afterwards through 29 January, but an explosion at 1723 generated a dense, billowing ash plume followed by a short period of sub-continuous emissions. 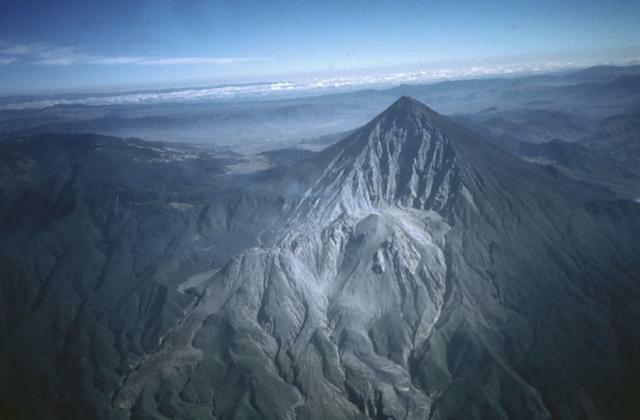 IG reported that in the morning of 22 January tremor at Reventador increased significantly and signals indicating rockfalls were detected. Explosions were heard during the afternoon and evening that same day. After an explosion in the crater a gas-and-steam plume was observed rising 1.5 km above the crater. Lava flows traveled down the SW and N flanks. 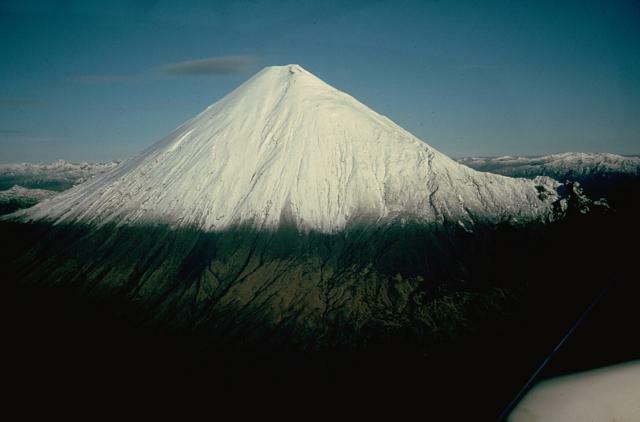 The lava dome had grown at least 100 m above the crater rim. During 23-29 January seismicity remained high. Cloud cover mostly prevented visual observations; during 22-23 January lava flow were visible at night, and on 24 January a steam-and-ash plume rose 2 km. Gas plumes rose as high as 1 km and drifted NW and W on 29 January. 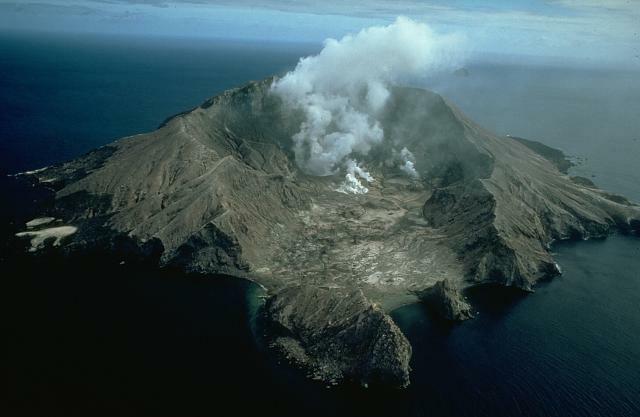 At 1600 on 24 January the GeoNet Data Centre reported that seismicity at White Island had changed during the previous 20-30 hours; volcanic tremor decreased while hybrid earthquakes appeared, which suggested magma movement within the volcano. 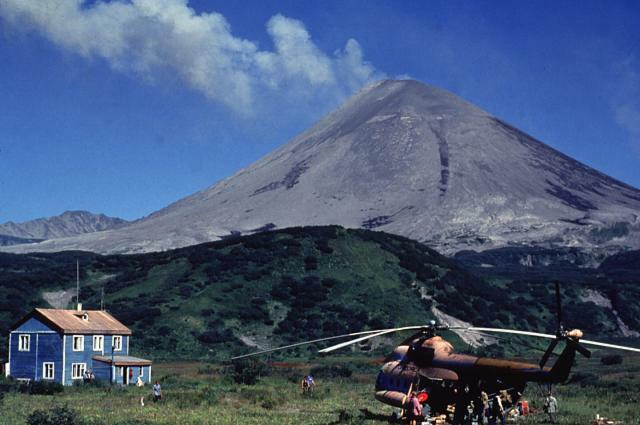 The Aviation Colour Code was raised to Orange (second highest on a four-color scale) and the Volcanic Alert Level remained at 1 (on a scale of 0-5). On 25 January scientists conducted an overflight to measure gas emissions and found that the levels were similar to those measured on 19 December 2012. The scientists observed vigorous mud geysering in the crater lake. Seismicity remained above background levels. On 29 January continuous tremor that had been recorded during the past few weeks changed to intermittent tremor, which remained strong. The crater lake was drying out and frequent bursts of mud, steam, and gas were still vigorous; mud and rock were ejected tens of meters out of the lake area. 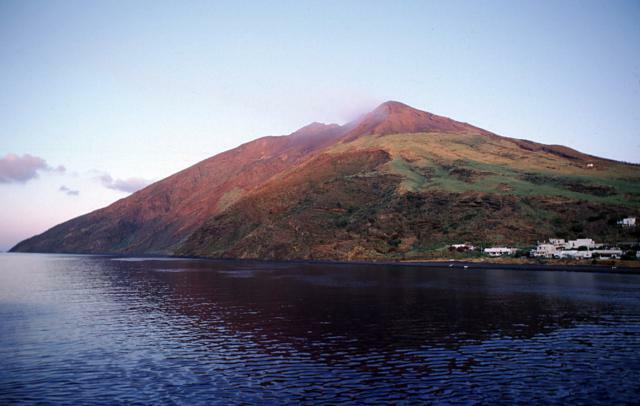 Steam-and-gas plumes that rose from the crater were visible from the Bay of Plenty coastline. GNS Science's past monitoring of the island showed that weak ash eruptions had often followed drying out of the same type of mud-filled lake. 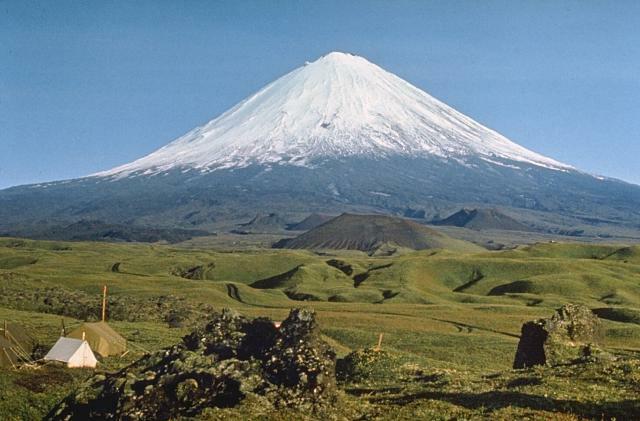 KVERT reported that weak-to-moderate seismic activity at Karymsky was detected during 18-25 January, indicating that possible ash plumes rose to an altitude of 2.5 km (8,200 ft) a.s.l. Satellite imagery showed a thermal anomaly on the volcano during 20-23 January; cloud cover prevented observations on the other days. The Aviation Color Code remained at Orange. During 23-29 January HVO reported that the circulating lava lake periodically rose and fell in the deep pit within Kilauea's Halema'uma'u Crater. The plume from the vent continued to deposit variable amounts of ash, spatter, and Pele's hair onto nearby areas. on 23 January a portion of the W vent wall fell into the lake. 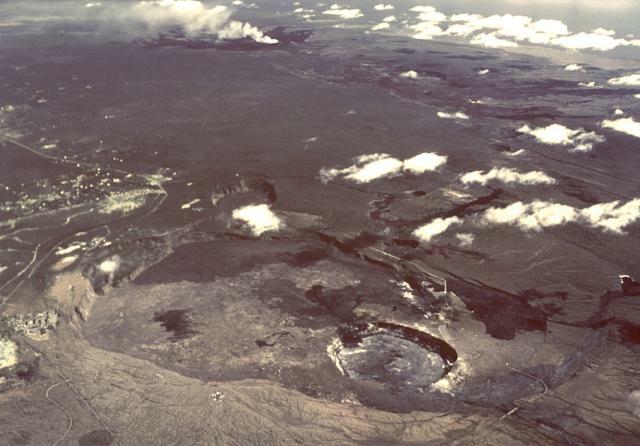 The lake level was 35 m below the Halema'uma'u crater floor on 23 January and 38 m below the floor on 28 January. At Pu'u 'O'o Crater, glow emanated from spatter cones on the SE part of the crater floor, from a spatter cone at the NW edge of the floor, and from a perched circulating lava lake on the NE part of the floor. 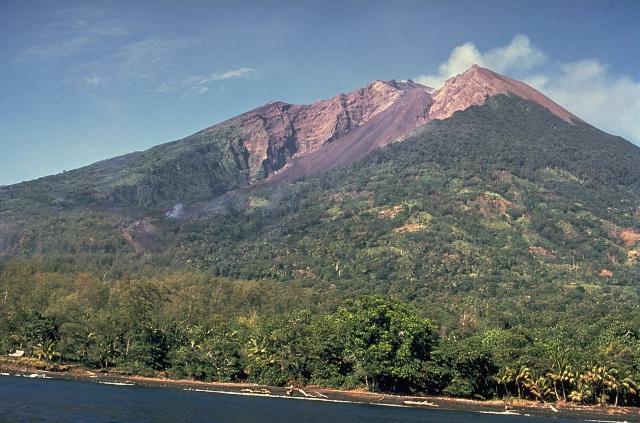 Lava flows were active in a 1-km-wide area on the coastal plain. Web cameras recorded steam plumes from lava sporadically entering the ocean at multiple locations. On most days lava flows from multiple vents were active on the crater floor. On 25 and 26 January pilots confirmed that a lava flow remained active on the E flank of Pu'u 'O'o cone. KVERT reported that during 18-25 January video footage and satellite imagery showed Strombolian explosions at Kliuchevskoi, along with crater incandescence and gas-and-steam emissions. Views from satellite were obscured by cloud cover. The Aviation Color Code remained at Orange. Based on analysis of satellite imagery, the Washington VAAC reported that on 23 January a diffuse ash plume from Santa María drifted SSE and SSW. 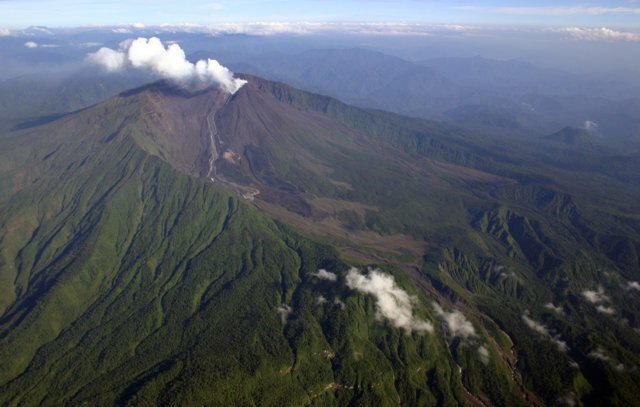 INSIVUMEH reported that during 24-27 January explosions from the Santiaguito lava-dome complex produced ash plumes that rose 800-900 m. White vapor plumes rose 200-400 m and drifted W, SW, and E during 26-29 January. Active lava flows produced avalanches during 28-29 January. Based on visual observations and analyses of satellite data, KVERT reported that during 18-25 January a viscous lava flow effused on the E flank of Shiveluch's lava dome, accompanied by hot avalanches, incandescence, and fumarolic activity. 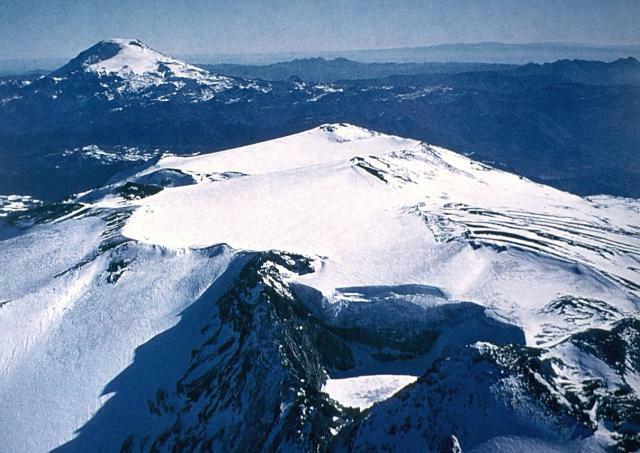 Satellite imagery showed a daily thermal anomaly on the lava dome. The Aviation Color Code remained at Orange.